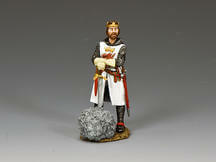 One of England’s most famous and revered Kings, even today. 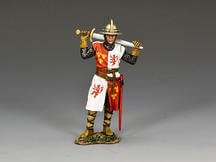 This mounted figure is dressed in full “Crusader” garb and thrusting his sword skyward. 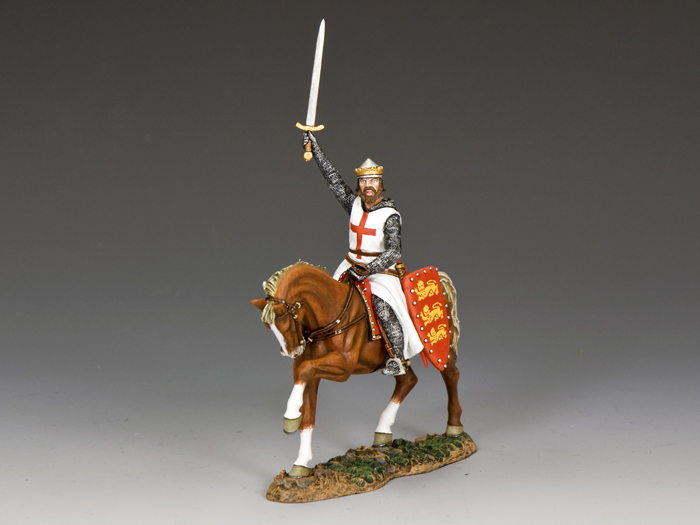 The figure itself is modelled on the famous equestrian statue of King Richard that stands proudly outside the Palace of Westminster in London opposite Westminster Abbey. 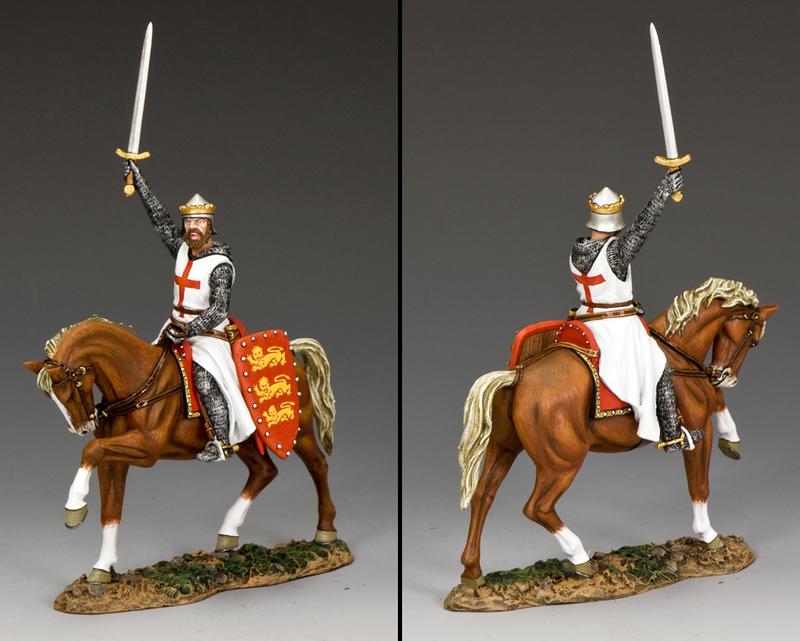 Last December, when K&C attended the ‘London Show’ myself and the K&C team saw this statue for the first time and all agreed it would make a fine ‘Royal’ addition to the ‘Crusader & Saracen’ series.